Coordinate staff coverage of office open hours, time & leave records. Record maintenance of all office assets. Description : Front Desk Receptionist with minimum 1 year similar experience, needed for a leading medical center in Dubai. Job Requirements: • Minimum 1 year similar experience • Must be fluent in English. 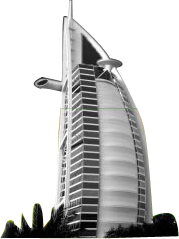 Arabic is a plus • Candidate must be already based in Dubai • Excellent communication skills • Ability to work under pressure • Has a sense of urgency and has the ability to learn fast and adapt quickly in a fast-paced work environment • Experience in medical filing is a plus • Computer literate Job Descriptions: • Answering telephone calls and dealing with face to face inquiries. • Politely greeting patients and visitors to the center. • Dealing with all requests in an efficient and courteous manner. • Opening post and forwarding it onto the relevant parties. • In charge of the doctors diary. • Updating the computer system with appointments and personal details. • Maintaining a clean reception area to show a professional image. • Screening inquiries for the doctors and medical staff. • Checking patients in and out and registering new patients • Accurately arranging any necessary follow up appointments for patients, and collecting information about them. Working Days/Hours: 6 days per week- 8 hours per day (including night shifts) Salary & Compensation: While the salary and benefits depend on the level of experience and competences of potential candidates, the Front Desk Receptionist position offers a total package salary between 7000 AED & 8000 AED + generous incentives scheme based on performance. Job description: We, a well reputed F&B company, are currently on the look out for a smart, dynamic and hardworking "waiter / waitress" for our outlets in Dubai and Abu Dhabi. Interested candidates are encouraged to forward their detailed CV to apply for the position. More details will be shared with the shortlisted candidates during interview. Kitchen Staff are urgently needed for a Cafe and Restaurant in Dubai, UAE. Responsibilities include making orders, helping the Chef, checking needed raw material and more. Applicants living in the United Arab Emirates or abroad are welcome to apply. Work experience is not needed, applicants will be trained for the position. We are looking for young Hostesses with lots of passion and drive. We are looking for good, fun, outgoing candidates with a will to learn and grow. Summary of Position Welcome and warmly greet guests on arrival. Manage the efficient and timely seating of our guests to a table that best serves their wishes. Must be fluent in English. We are looking for the whole world females. > Need Foreign citizens, NRI, Expat. > Salary package upto US$ 77000 per annum. > Mode of interview = via skype or video conferencing.